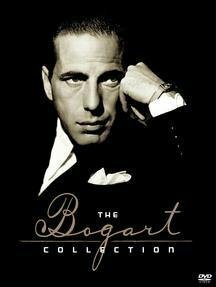 The legendary Bogie stars in five of his very best films, including The Big Sleep (1944/116 min. ), Casablanca (2-Disc Special Edition)(1943/102 min. ), The Maltese Falcon (1941/101 min. ), To Have and Have Not (1944/101 min.) and The Treasure of Sierra Madre (2-Disc Special Edition)(1948/126 min.). 7 DVDs. B&w/NR/fullscreen.